What is it that makes Christmas special to you? 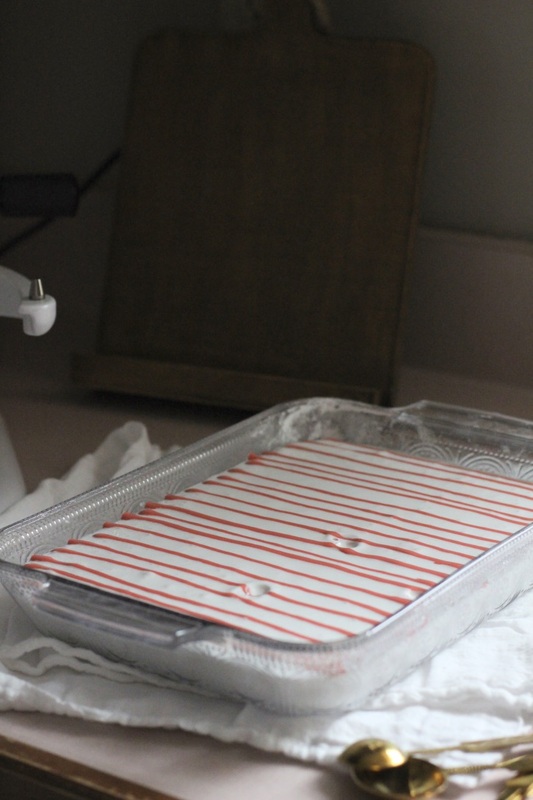 Do you love cookie baking with children in tow, flour everywhere? Do you love gift-giving, tying up paper-wrapped packages with ribbon and bows - filling your hands with hot chocolate, warm, fuzzy blankets in front of the fireplace glow - or is it stringing the lights around the Christmas tree while the world fills up with snow? I love all of those things, each and every one the most. In fact, I tend to embrace all of the Christmas joy without leaving any activity behind. It's a wonderful thing, the warmth and the cheer, which the whole world seems to reciprocate in such a cold, bitter season, isn't it? I believe it is. But, I'm so thankful, that when all the cookies are baked and pine put in place, that there's a deeper peace in my heart from a Savior who came to the world, with love in his heart, to save us all - which is the best gift of all! My first time and this had to have been my favorite Christmas activity yet! 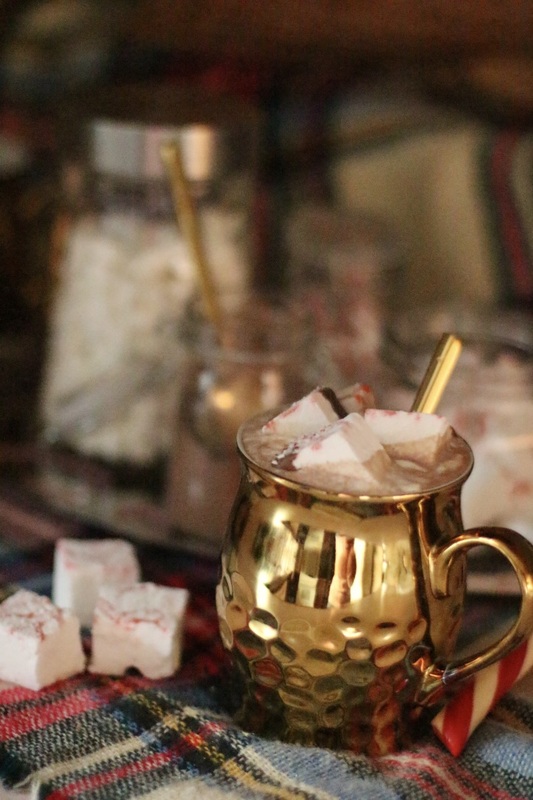 Homemade marshmallows (see recipe at bottom) are so easy, fun and delicious! I was surprised at how soft and fluffy they were. 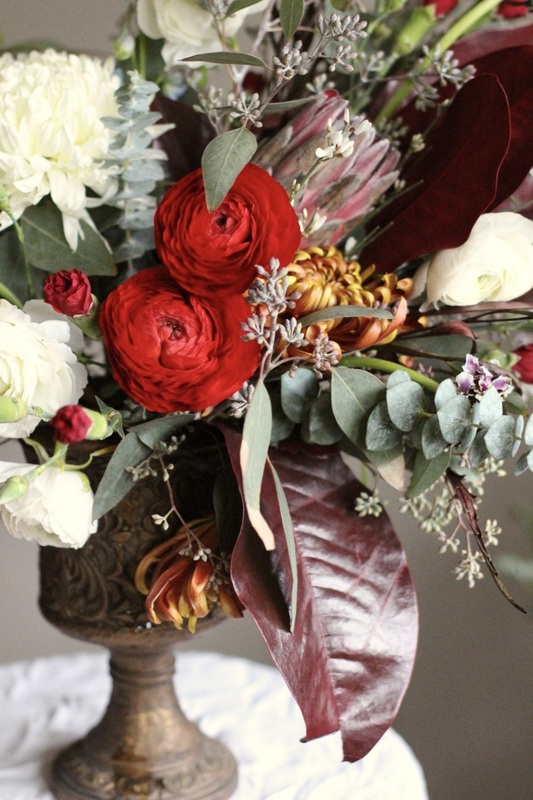 See how to make this easy design by Pine and Crave here. I like to give little homemade gifts to my friends each year at Christmas. I try to think of something simple that doesn't cost a lot but is sweet. 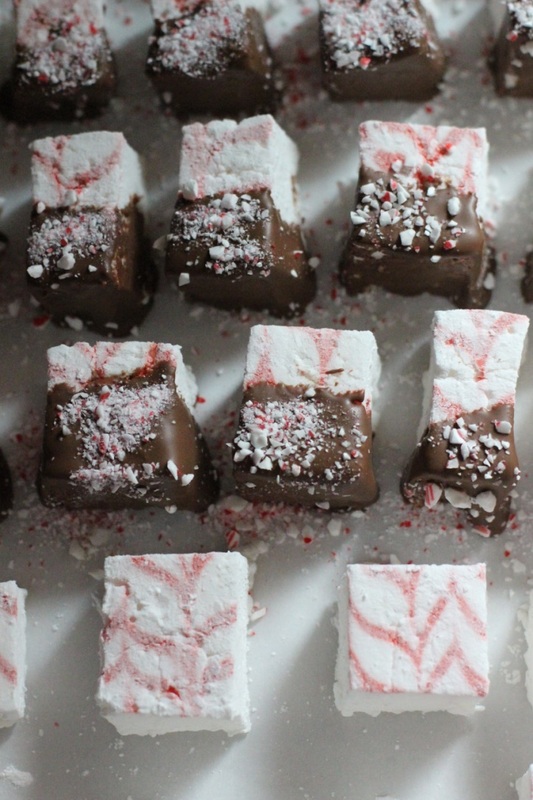 These marshmallows, with a little chocolate and crushed candy cane, did the trick this year! I filled up little treat cups from Target (gift wrap aisle) and wrapped with cellophane and string. 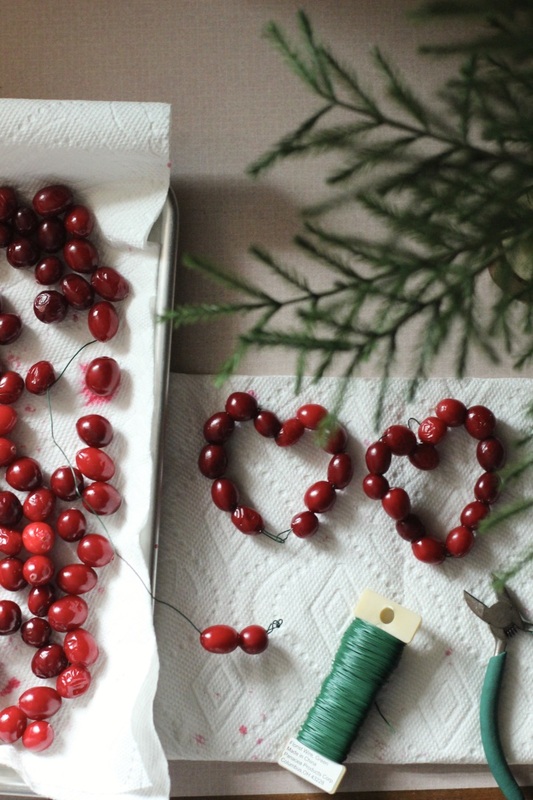 Some leftover Thanksgiving cranberries + floral wire + wire cutters + your imagination = DIY ornaments. 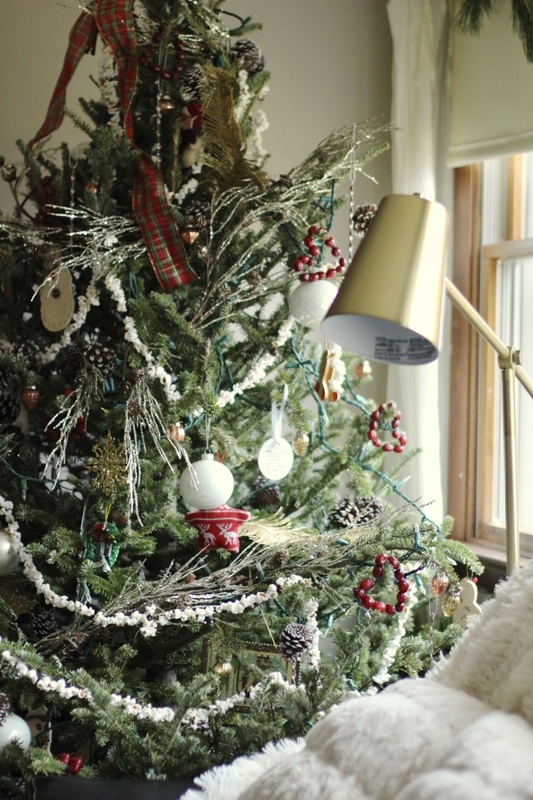 A great pop of red for the tree! 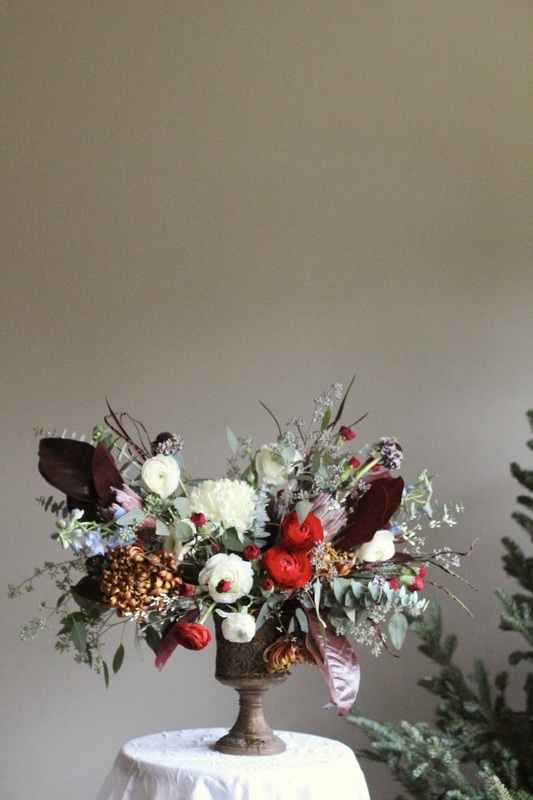 One of the floral designs I did this year for a Holiday event! Hot Cocoa is my....... FAVORRR-RITE!! 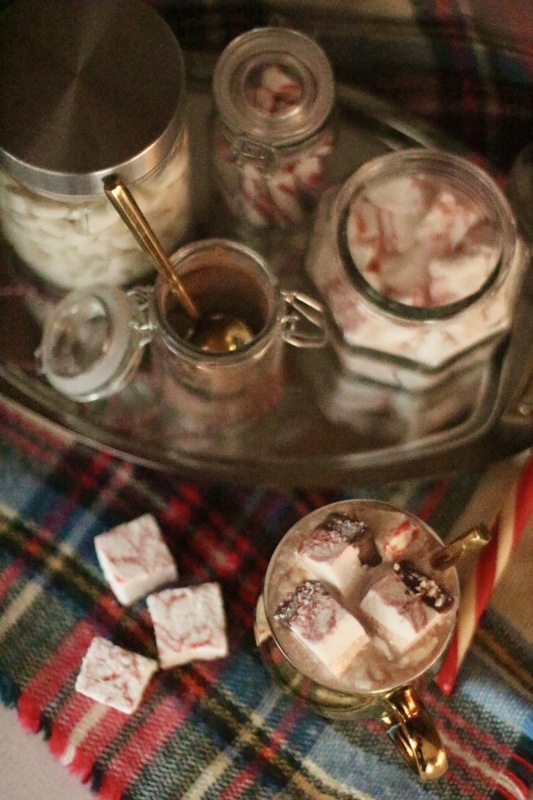 Making a little station is super easy, a fun countertop decoration and just a scoop away from all kinds of yummy hot cocoa cups! Ingredient suggestions: Your favorite Hot Cocoa (dark chocolate or double chocolate are my fave), Marshmallows (big, small or homemade! 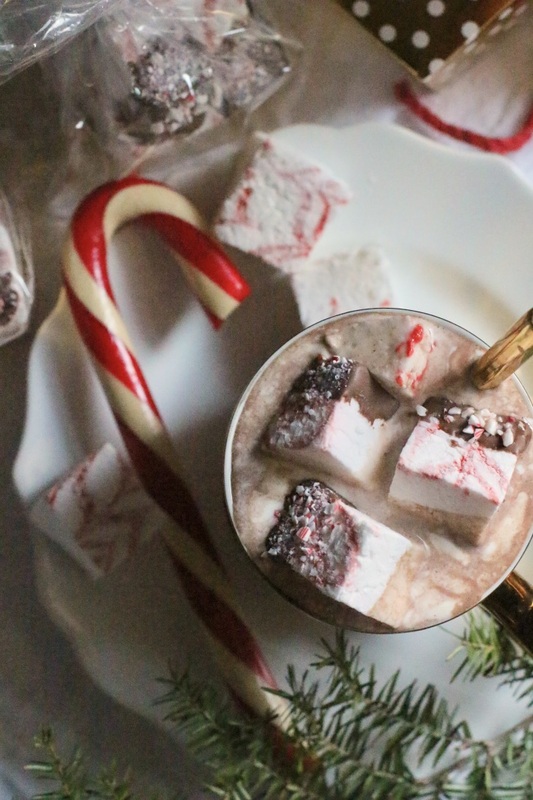 ), peppermint sticks (the porous kind that melt well) or crushed candy cane, Gingerbread men, caramel, sea salt, cocoa powder shaker, cinnamon. I hope you enjoyed this little festive Christmas post and no matter what you did to celebrate this year, that you can enjoy something small today, just where you are!